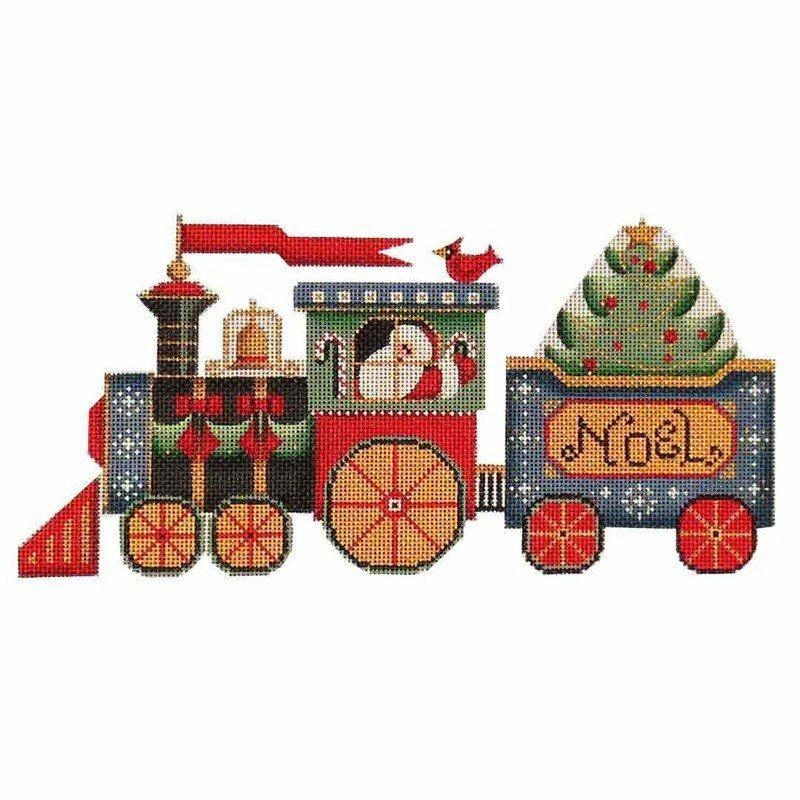 This happy Christmas Train from Rebecca Wood will be a great addition to your holiday decorating! Think standup or pillow. Gwendolyn has even added some background elements to make this piece extra special - ask to see the stitched model. Instructor Bio: Gwendolyn loves to needlepoint and share her enthusiasm with others. She?s been stitching since 1973 and teaching for about 25 years. Gwendolyn says, ?I feel needlepoint rarely has too much sparkle. I love taking classes from national teachers, because there is always more to learn! ?